My name is Matt Hardy; I use he/him/his pronouns. I became involved in the prevention of interpersonal violence at my alma mater, TCNJ. I now work as the Community Education Coordinator at the Domestic Abuse and Sexual Assault Crisis Center of Warren County. DASACC helps, serves, and advocates for those in our community impacted by interpersonal violence, works to proactively prevent interpersonal violence, and seeks to create positive change. Addressing the root causes of domestic violence means having honest conversations about the implications of these norms; working with folks to encourage personal and institutional change. Narrow, rigid norms surrounding masculinity teach men to value violence, aggression, power, and control. This is toxic, and a large part of the reason why domestic violence is so prevalent. Even though attitudes normalizing domestic violence are so prevalent, the vast majority of men want to prevent domestic violence. However, because we think of domestic violence as an issue primarily affecting women, men feel uncomfortable speaking up. 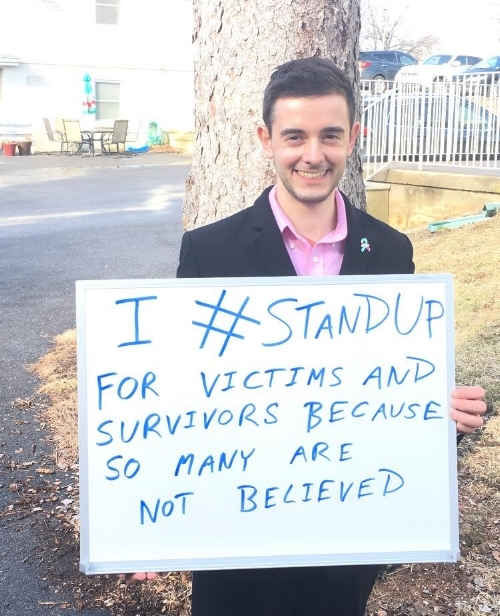 The reality is everyone has a responsibility in speaking up, supporting victims and survivors, and advocating for change. It takes strength to speak up, and work towards a future where people of all races, genders, and sexual orientations can be free from domestic violence.